Rome was not built in a day. It took it’s time to form a foundation, to explore and receive the best tools and materials, to get built and then to finally spread the word around about the rise of the new Empire. It takes time, thought, money and effort to build something great. Including a website. Ecommerce has become one of the trendiest and most profitable businesses in the twenty-first century. And since the rise of the ecommerce websites, the competition in the industry has only been growing year-by-year, making those who knew how to adapt gain tremendous amounts of money, and those who didn’t – to close down. One of the biggest parts in the successful performance of the ecommerce website is the correct understanding and use of the ecommerce analytics tools. And they too, just like Rome, come in stages according to the website’s formation process. Certain ecommerce tools will be applicable at the stage of building a website, the other ones – at its analytics setup step, and regardless of the stage of their use, all of them are aimed to increase website sales and boost ecommerce conversion rate. Here we will review which ecommerce solutions are best within each step of your website’s development. First things first, you have to choose the base platform for your ecommerce website. This is the foundation of your store and determines pretty much everything – from how challenging it will be to build a template for your ecommerce website to how freely you can feel with managing your store optimization. 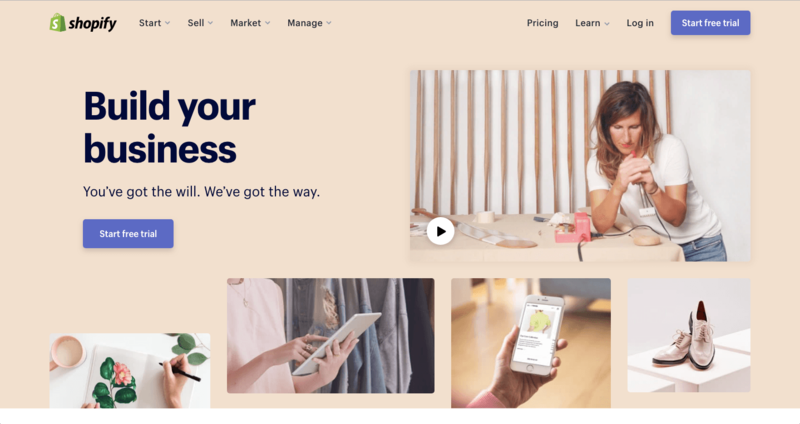 Meet Shopify – the most popular drag and drop platform for building professional online stores up to date. It holds its leading position thanks to the low-cost entry point – a “Basic Shopify” plan at 29$ a month, and the all-in-one-place approach – meaning you have your domain hosting, SSL certification, ads monitoring, analytics, website design and sales management combined in one single platform. The plus is that you can manage a whole ecommerce website on your own, the minus is if you want more than what’s included in your template you might have to hire a developer and work around SEO imperfections of the said platform. BigCommerce is another established Ecommerce platform that allows you to build a whole website in one click. Their plan rates are similar to Shopify’s, although they don’t charge transaction fees for every sale you make through your website. 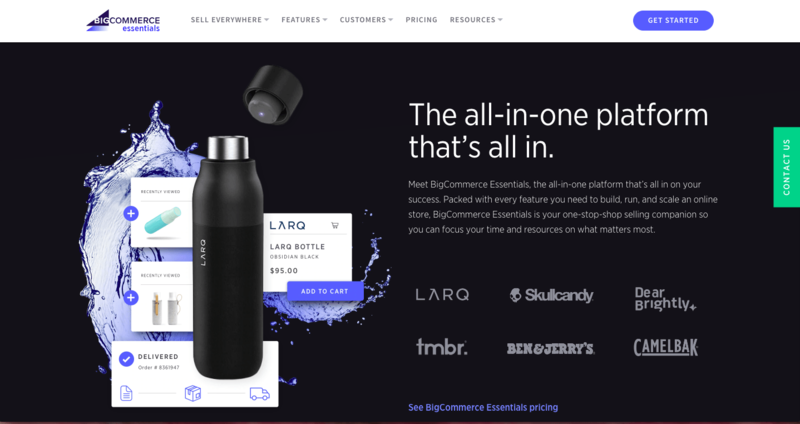 The huge bonus that comes with the BigCommerce Platform is its custom marketing tools proven to increase conversion: built-in apps, features and functionality that help attract customers and make more sales. Another great thing about this platform is its integration – you can easily sell products within the marketspaces you’ve been using prior, like Amazon and Instagram, on the BigCommerce SaaS website. If you are willing to invest your time, efforts and money into building a website that stands out, has its own hosting and full control over design elements we are happy to introduce you to WordPress. WordPress is an online platform that allows a full range of website-building possibilities and is used by 33% of all web. WordPress has been around for 15 years, and most of the high-rank websites, blogs and news sources are built on this platform. It is absolutely free if you know how to code, and if not, it has a one-time fee for you to purchase a template. The only thing you pay after this is hosting (from $3,95 a month depending on a plan) and domain expenses (from $19 a year). 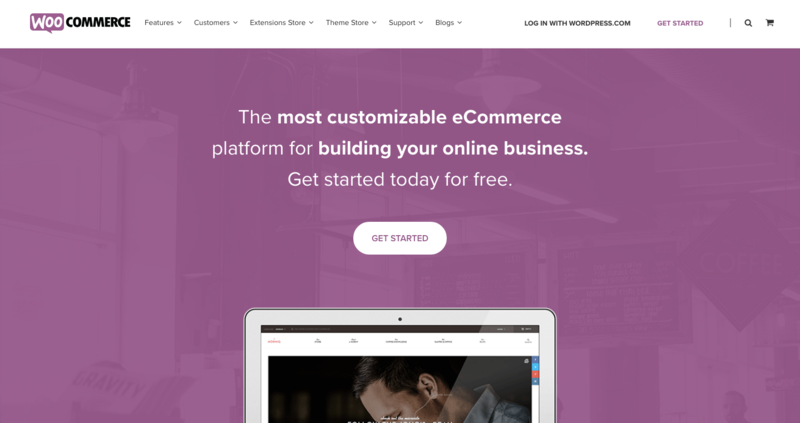 It started as a platform for Blogs in 2003 and quickly evolved into a highly-customizable full-on store with the free WooCommerce plugin, that allows you to sell anything, anywhere. Once you’re done developing your website, you’ll want to focus on how it performs. At the end of the day, what is a point of a great web source and it’s beautiful products if no one has a chance to find it? To make proper marketing decisions you’ll need a set of tools to help you track, monitor and optimize for better Search Engine results. Let’s find out which Ecommerce web analytics tools are best for your business. If you are new to ecommerce web analytics and want yours done simple and pain-free, finding out more about Ahrefs is your next action. Ahrefs Ecommerce Analytics Solution will serve you equally great if you are a freelancer and a company owner, allowing you to access their services starting at $99 a month. 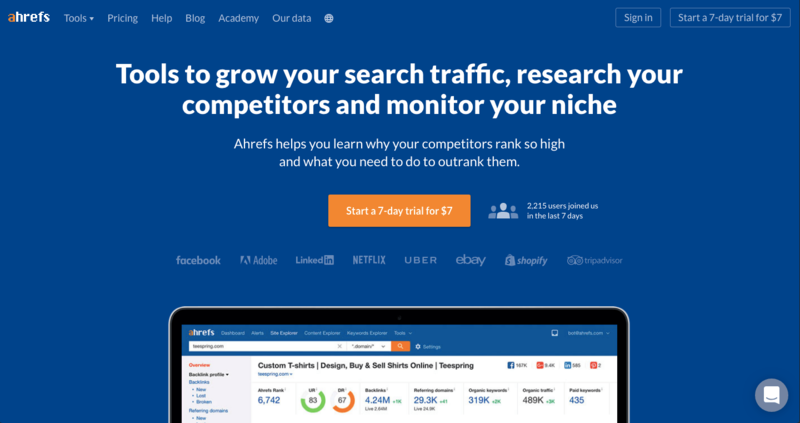 The full range of Ahrefs functions includes keyword research, competitive analysis, content and backlink research, rank tracking and web monitoring. Ahrefs is used by marketers of Netflix, LinkedIn, Uber, Adobe, TripAdvisor and other esteemed companies. SemRush is a well-established global tool, having over 3 million users, including Forbes, Hp, Quora, Ebay and others. Located in the USA, Boston, this company calls itself an all-in-one marketing tool, and not for nothing. SemRush allows a vast number of functions, including but not limited to multiple sites comparison, domain-specific keyword ranking, position tracking, organic and advertising research, Crawl audit tool. If you are in need of all-round in-depth research for eCommerce, SemRush is definitely a way to go. 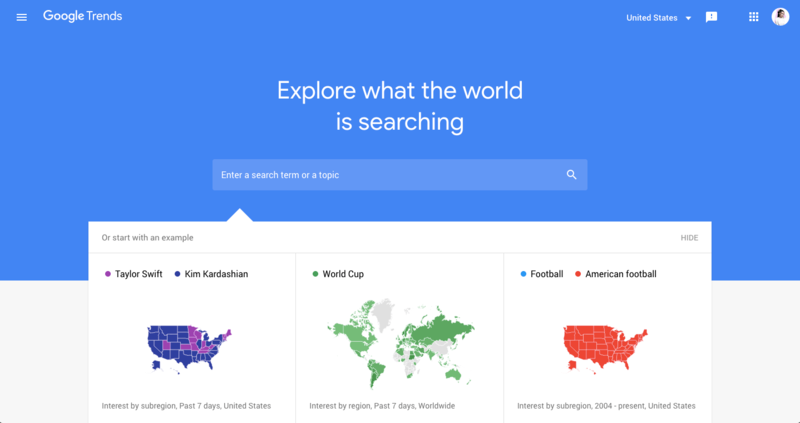 Google Trends is a simple yet useful tool, produced by google.com that lets you monitor search queries in Google based on various geographical locations and languages. Google Trends allows you to check keyword search growth queries over time. Although it is not a complex research software, it is completely free and allows marketers to see trends in a simple, user-friendly manner, displaying which diets, movies, politicians, search questions like “what is”, “how to”, “who” were popular within certain time frames i.e. week, month, or a year. After you’ve completed comprehensive research on your ecommerce competitors, it’s time to focus on finding your perfect web analytics tools. They will help you track your specifically chosen ecommerce metrics, help improve conversion rates and perform overall in-depth analytics for your eCommerce website. 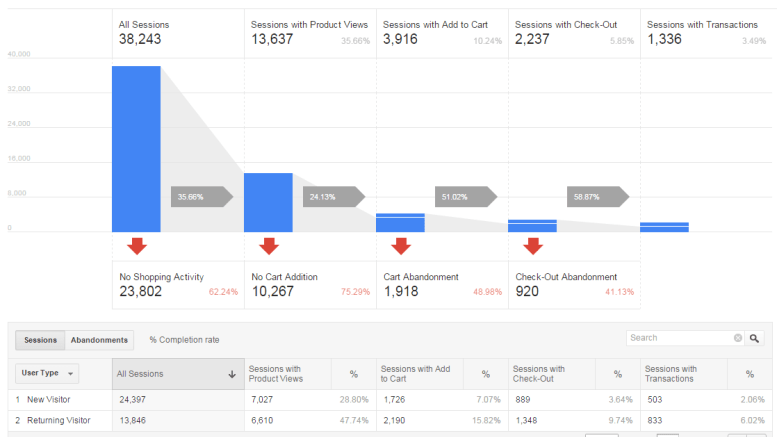 To extend the size of its capabilities, Google Analytics also expanded into ecommerce analytics. Its developers introduced a new plugin called Ecommerce (ecommerce.js), which allows tracking specifically for transactions on the ecommerce websites. Now, recently Google Analytics rolled out a new version called Google Analytics Enhanced Ecommerce. New plugin allows for a broader range of functions, and although both of them come from the same developer, they cannot be used on the same ecommerce website simultaneously. The enhanced version tracks all user interactions, including the number of product impressions and clicks, viewing product details, adding a product to a shopping cart, and all other small, large and medium user transactions. If you have a BigCommerce account, the process of acquiring your ecommerce analytics can be vastly simplified. While Google Analytics is said to be great at optimizing sites, BigCommerce Analytics offers a lead way into customer transactions. BigCommerce allows you to track which customers bought what, where did they get stuck, where did they abandon the website, the impact your coupons and discounts have and much more. 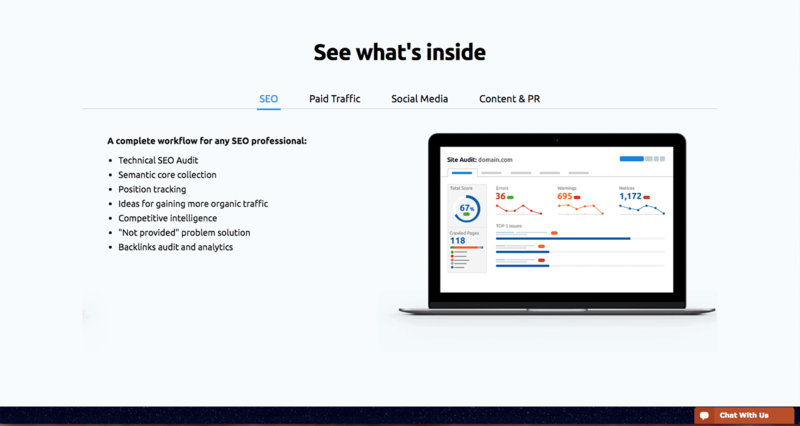 All of this data is presented in an easy-access user-friendly manner, located in your Dashboard panel, which is included in your BigCommerce monthly plan. 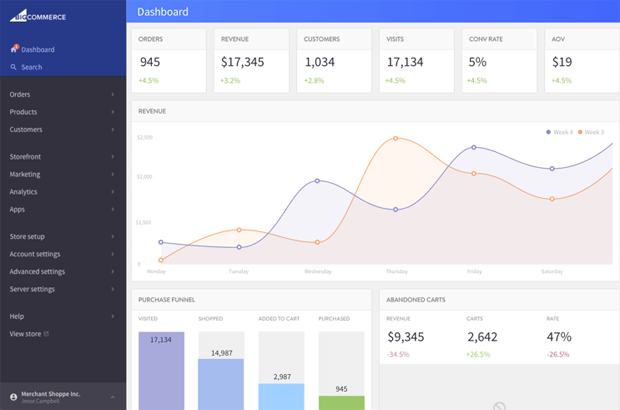 Similar to BigCommerce, Shopify has its own ecommerce analytics software. It allows tracking for pretty much everything happening on your online store – from the number of daily visitors to the amount of money each of them spends, and everything that’s happening in between. The data presented by your Shopify Ecommerce Analytics tools (on enhanced plans) might be just enough for you, removing the need to purchase any additional web analytics tools. 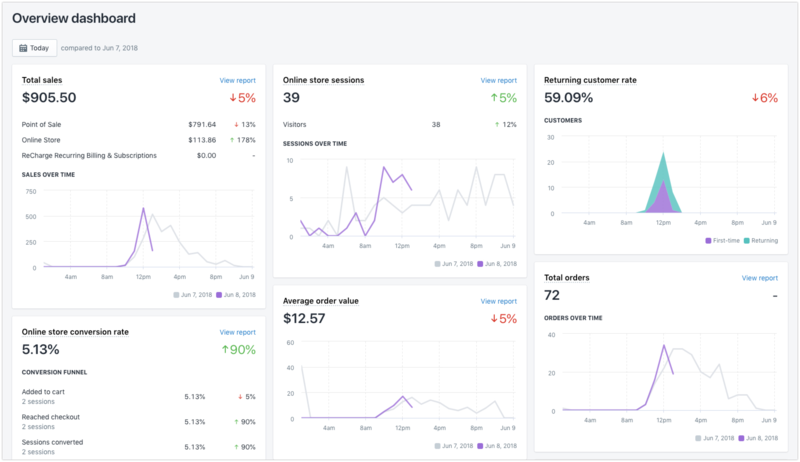 Every Shopify store owner can access their key stats at the Overview dashboard, and according to the Shopify itself, the higher your plan is the more stats you can access. 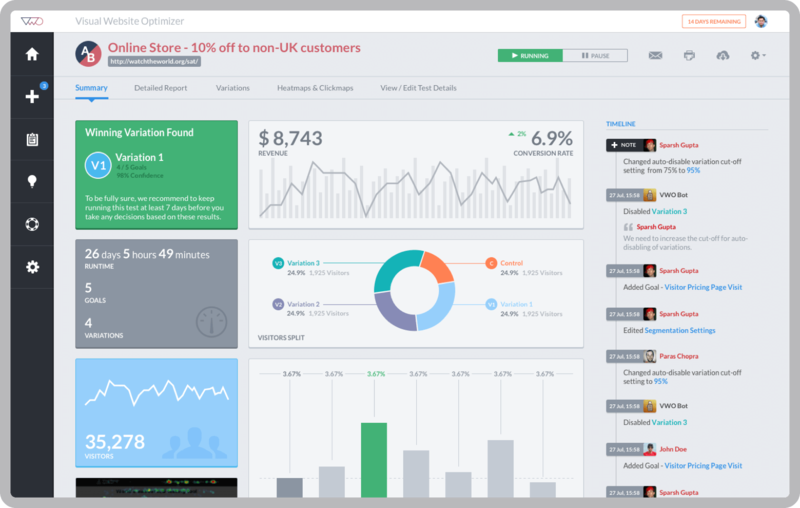 Now Hotjar is a whole different Ecommerce Analytics Solution from what we’ve described before. It includes a number of Analytics Softwares, aimed to boost ecommerce conversion rates and improve your website performance all-way round. Its clients are mostly small to large-sized enterprises, and inside a company, it is mostly being used by Product Managers, Marketers and UX designers. 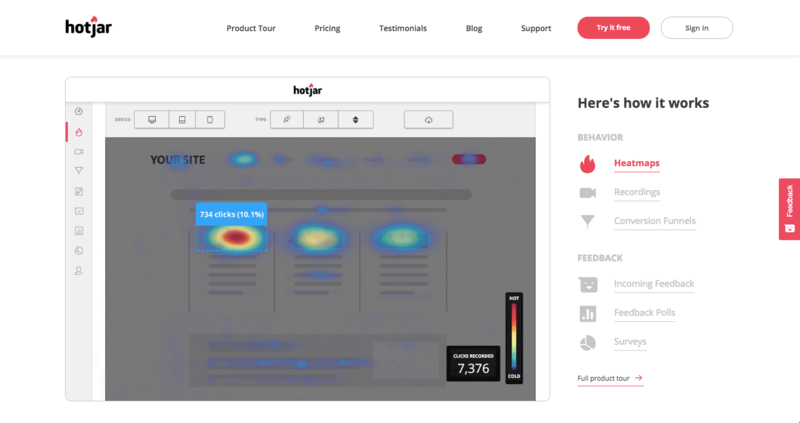 Hotjar offers a whole range of ecommerce analytics solutions, including heat mapping – by scrolling, by clicking, by moving and by various devices, real visitors view recording – to see how your users act in real life, detailed conversion funnels, email, survey and contact form analysis, and even their own invention – feedback forms. Feedback forms are small pop-up windows with multiple option answers appearing at a certain point – when your website visitors leave right before subscribing, for example. By asking our website visitors what stopped them from completing the transaction, combined with using all other Hotjar in-depth analytics tools for eCommerce, we get a real insight into what our customers think and how to convert them into buyers. The Crazy Egg is an Ecommerce Analytics Tool that, similar to Hotjar, introduces a heat map monitoring, real-time user recordings, snapshots and much more. Crazy Egg also possesses functions specific to their platform. 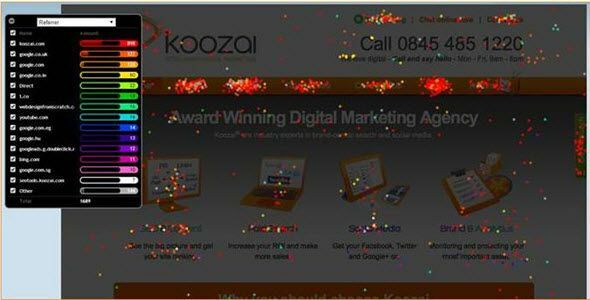 They include advanced A/B testing capabilities, that will allow you to feel sure about your marketing decisions like CTA button colour, image placement, copy size and more. Another Crazy Egg super-unique function is called a Crazy Egg Editor. It allows you to create or modify content on your website without the need for a developer! You can change font styles, colours and sizes for example, and then publish your new changes to your actual ecommerce platform directly. Yandex.com is a Russian Search Engine that, just like Google, expanded into a full Empire providing over 70 different services in various areas like World Wide Web, Ecommerce, transportation, navigation, advertisement, mobile apps and more. In 2012 Yandex developers introduced their own Web Analytics Solution called Yandex Metrica. Yandex Metrica is remarkable thanks to its comprehensiveness and versatility – it includes most of the described functions from various topics of this article in one single web application. It includes mobile and web traffic reporting, audience assessment, heat mapping, user behaviour tracking and more. What is even more notable is Yandex Matrics level of customizability – you can arrange the ecommerce metrics, displayed as widgets, in any order or position you want, organize them in any graph type you desire, meanwhile getting rid of the info you find unimportant and freeing the space for the stats you prefer. Once you’ve build your website, researched your competitors, and analyzed your ecommerce metrics you are pretty much done, right? Not so fast, as creating a great website with awesome design and Search Engine Optimization is only half the process, with the other half being conversion rate optimization of this website. Below we will provide a number of tools and their comparisons, that will allow you to choose the best ecommerce conversion rate optimization and A/B testing tools for your ecommerce website. 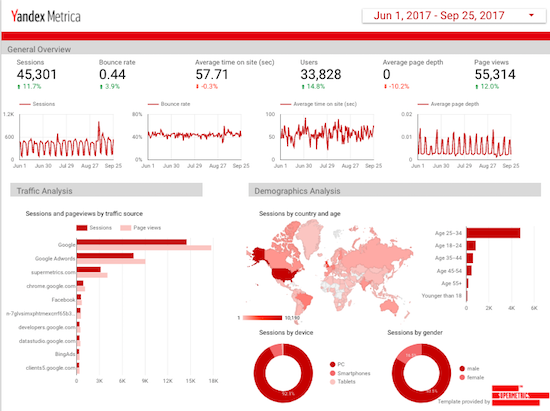 Google Optimize (Web Optimization) Tool is remarkable for a number of reasons. Firstly, it was created by a giant of analytics and search engine optimization – Google. Secondly, it was launched to help businesses across the web optimize their websites and now is officially free. Thirdly, it’s one of the few Conversion Optimization editors that allows running campaigns without having to hire a specialist. The interface of the Google Optimize Platform is based on the WYSIWYG – what you see is what you get principle. That means you can optimize without having to possess any background knowledge, and it’s a great place to start if you are new to Ecommerce Conversion Rate Optimization and not sure which tool to choose. It’s a perfect fit for small to medium-sized businesses who want to optimize, but don’t possess resources and budgets to cover expenses of the enterprise-level platforms. Convert is an A/B Testing Analytics Platform for small to large-sized ecommerce enterprises and companies. 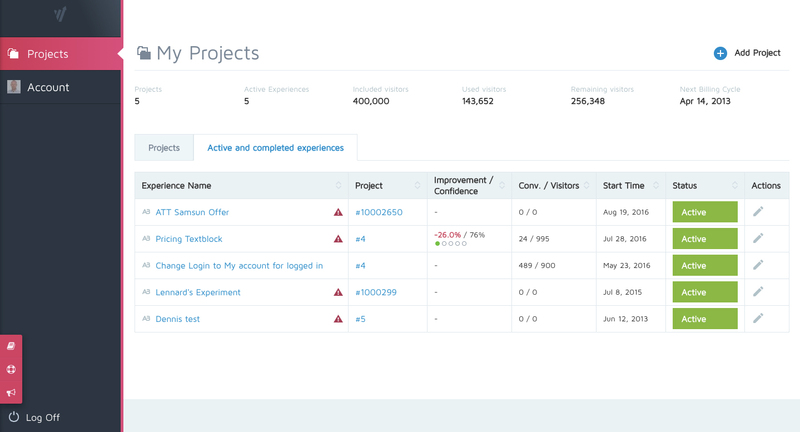 At Convert, they don’t believe in the all-in-one solution, and being GDPR Compliant, are strictly focused on A/B testing, smart personalization, secure Application Programming Interface (API) and real-time reports. Convert can be easily integrated with most ecommerce platforms – Shopify, WordPress, PrestaShop etc and analytics platforms like – Hotjar, Google Analytics, Adobe Analytics and more. Being built for real people by real people, how they position themselves, allows Convert to offer a fast and reliable expert answer to every question you might have. VWO is an enterprise-level A/B testing and Conversion Rate Optimization Solution. It is used by such industry giants as Ubisoft, eBay, Target, PayScale, Virgin and others. VWO products are divided into two main groups – Conversion Optimization Platform™ and Testing. Conversion Optimization Platform™ allows for a connected optimization process, that unites all optimization processes – funnel status, recordings, observations, data insights, hypothesis and variations, allowing to make an educated conversion optimization decision and keeping all the data regarding it in one place. The Testing category includes a world’s easiest (according to VWO) A/B testing tool, easily setup targeting campaigns, built-in heatmap, responsiveness across all web and mobile devices, personalization without coding and more. It is a professional enterprise-grade tool and is best suited for an established medium to large size company. We hope this list of the Top Ecommerce Tools will help you choose the best website platforms, analytics software, research tools and other indispensable Ecommerce tools for your future or existing website.